A key shot is when Michael Ballhaus' camera pushes past Jesus into the sepulcher of the dead Lazarus. It is black inside, contrasted with the blinding sun, and then blacker and blacker until the whole screen is filled with blackness, and held for a few seconds. I take this as an emblem of Jesus' experience of his miracles, during which he is reaching into an unknowable and frightening void. Despite the fact that Ebert has published many books, he has always been good at making his work more widely available. True to form, a shortened version of this chapter is now available at his website. Ebert also makes mention of my friend Steven D. Greydanus's article on the film. Steven and I disagree about the film, but I always come away from debates with him with plenty to think about. So it's not surprising that even Roger Ebert revised his thoughts on this film as a result of reading Steven's article. 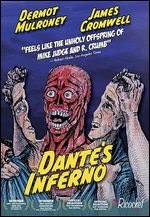 In addition to the film there's also a great selection of extras, including two commentaries (one by the filmmakers, one by Dante Scholar Peter Hawkins and puppet historian John Bell); a making of featurette; a behind the scenes photo gallery; the film's original track and MP3s of two of the songs on the soundtrack. I'll be reviewing this film shortly, but if the above's already got you hooked, then you can buy the DVD direct from the filmmakers for $13.99. A while back I mentioned that the Jesus Films module I wrote for rejesus had been translated into Suomi (Finnish). 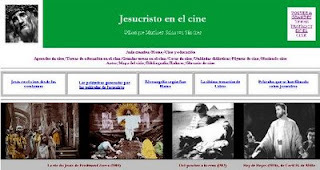 Recently I was trawling through the web and I came across two websites about Jesus films written in Spanish. Enrique Martinez-Sanchez Salanova's article (pictured) contains a good number of images, with a few that are quite rare. 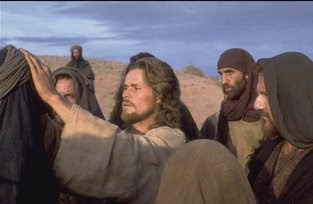 There's a general introduction, a quick look at some of the Jesus Cameo films, a closer inspection of Il Vangelo Secondo Matteo and Last Temptation of Christ which leads into a few comments on some of the more controversial entries in the genre. Finally there's a table giving details of about 80 films. (English Translation). One of the interesting things this article says is that any scenes featuring Jesus were cut from the UK version of Golgotha. Following on from my earlier posts on Abel Ferrara's Mary, Peter Chattaway has rounded up a few more of the reviews to have come from it's recent run in New York. Aside from the pieces I have mentioned before there are reviews from Victor Morton, (Rightwing Film Geek), Robert Davis (Paste Magazine), Daniel Kasman (The Auteurs' Notebook), with other reviews at Rotten Tomatoes and Metacritic. I can't help commenting on Victor Morton's criticism that the movie seems "phoned-in". Surely that phrase is already such a movie-review cliché that Morton's use of it also constitutes something "phoned in"? Edit: Having now read Morton's comment in context I now realise that, actually, I should have resisted commenting on this until I had actually read it. His remark was made as part of some informal comments on someone else's blog, and not part of a formal review. Furthermore they were made 3 years ago before the phrase "phoned-in" had become a cliché. I apologise to Victor, but decided to leave the above up so that future readers can understand the extent of my idiocy (see also comments). Peter also links to a video interview with Ferrara at Cinema Echo Chamber. Kings is the story of David Shepherd, an idealistic soldier who is thrust into the heart of power by one act of heroism. After single-handedly defeating the enemies of his people, David is rewarded by being brought into the court of King Silas, monarch of the modern nation of Gilboa. David is initially dazzled by the pageantry and glamour of life among the royals, only to learn that the palace is teeming with deception. The young hero soon becomes a target for the deadly schemes of those vying for control of the kingdom. But he finds support from a beautiful princess, the king's own daughter... and their forbidden romance will launch David on a daring path to adventure. As the line between friends and enemies blurs, David must survive the treacherous corridors of power and forge a new destiny that will forever change the world. "Kings" takes place in a modern-day kingdom named Gilboa, and its shining metropolitan capital of Shiloh. It is ruled by King Benjamin Silas, the nation’s much-loved monarch, who unified several warring territories to found Gilboa many years ago. They have since built a proud and prosperous nation. While not a perfect society, the kingdom is a beacon of hope and idealism. That is, until a young soldier named David slays a fearsome Goliath tank, rallying the nation... and turning the tide of history. That final idea is an interesting move, keeping things realistically contemporary, whilst (hopefully) doing justice to the tale's most iconic story. And Peter Chattaway has linked to an article at Entertainment Weekly which carries some more casting news. The biggest new name is that of Macaulay Culkin who will appear in a "multi-episode arc" as "the king's nephew... exiled for mysterious reasons". Miguel Ferrer (Crossing Jordan), Michael Stahl-David (Cloverfield), and Leslie Bibb (Popular) will also star. 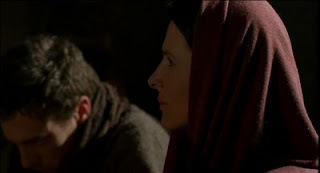 Mary is likewise burdened by Ferrara’s "messiness," but this time that messiness works with the grain of his characters in a realistic scramble for faith and redemption. Faith is messy, the search for the historical Jesus is messy, and fortunately, so is Ferrara’s film. Having given the Bible Society's release of this film a four week head start, the BBC's DVD of The Passion goes on sale today. But whereas the earlier version was only available through the Bible Society, this one has been released nationwide with many online retailers offering it substantially below the £20 RRP. Assuming that the review discs I received a while ago have not changed in the interim, then the discs' transfers are good, but there are no special features. Indeed there doesn't even appear to be a basic menu. Whilst this does give the advantage of being able to watch it straight away, it's disappointing given the amount of material the BBC made available on the website, which will, no doubt, disappear one day. So, ultimately the consumer is left with a choice between the Bible Society's set with a few extra features but a substantially higher cost (and their price is unlikely to drop if past history is anything to go on), or hunting out a bargain on the official, bare bones version. One other plus point for the BBC release: its cover art is significantly better that their rival's - at least that's my opinion. I remember feeling like someone in a car crash — everything seemed to happen in slow motion. The sun was absolutely blinding, but I had to keep facing upwards. The director had positioned a camera above my head to capture the agony on Jesus’s face and the moment when he utters his last words. The scene took three days, and although I’d only been up on the cross for minutes at a time, my arms were still numb when I returned to London. 2 - Mark Thompson. Cited at Bite my Bible - http://www.bitemybible.com/2008/10/the-bbc-is-anti.html - from either a talk held by the public theology think-tank Theos or his lecture at Westminster Cathedral earlier this year. 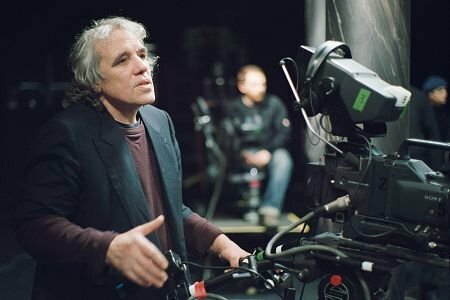 Filmmaker Magazine has an interview with Mary director Abel Ferrara, presumably to coincide with its forthcoming screening in New York. I've not heard him talk a great deal about the film - which is now 3 years old - so it's interesting to hear some of his thoughts on it (though the language is not for the faint-hearted). He also 'discusses' Werner Herzog's plan to remake Bad Lieutenant - another film with a lot of unconventional things to say about Jesus. But when he started working on Mary — "living within three blocks of the Vatican," he noted — he revisited the Bible and this time approached it "as a revolutionary tome." Mr. Modine, who first worked with Mr. Ferrara on The Blackout", said via e-mail that he and Mr. Ferrara prepared by poring over ancient scripture. "Abel and I tried to strip away the interpretations and poetic language", he said. 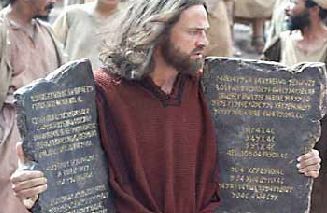 Like a more serious and angst-ridden Da Vinci Code, the film draws on Gnostic texts that have offered alternate views of the life of Jesus and the origins of Christianity... With its sincerely ambivalent efforts to plumb the nature of belief, it’s the rare movie that could stand as a rebuke to both The Passion of the Christ and Religulous. By the way, it seems that in addition to the French and German DVD releases for this film there is now also a Spanish version. I must admit that Peter Chattaway is generally far better at discovering the latest Bible film news than I am, and he posted a number of different items over the weekend. For now, I'll just deal with the news regarding the new TV miniseries of Ben Hur which plays at next week's MIPCOM. Production company Alchemy have released some posters and flyers, whose taglines have caused some comment. The main poster is the one on the right. It's clearly been heavily influenced by the publicity for 300, and the tagline suggests this may also be true of the script. Whereas the 1925 version of this story had the subtitle "A Tale of the Christ", the TV series has opted for "Rome made him a slave. Revenge set him free." It's not just a different angle, but the whole premise of the original story was that the desire for revenge was a more powerful master than the Romans had ever been. However, the one of the left is from a selection of flyers and posters, and it's tagline is "An epic tale of revenge and redemption", which would have fitted General Wallace's work, and its three film adaptations. It remains to be seen whether this new version will still hinge around Ben Hur's encounters with Jesus, or whether the source of his redemption will be something else. Based on the classic novel by Lew Wallace, BEN HUR tells the story of a young man whose best friend betrays him, sending him into exile, slavery, and near certain death. 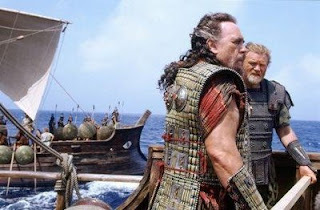 Through his skill as a chariot driver, Ben Hur triumphs over his enemies and eventually finds peace through forgiveness. 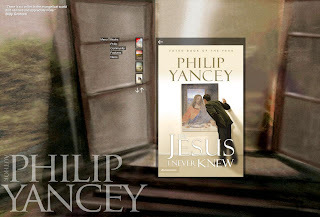 One of the things that really got me into this whole Bible films thing, was reading Philip Yancey's book "The Jesus I Never Knew" about ten years ago. I had already been trying to find a decent portrayal of Jesus in film, but Yancey's book, which refers to different Jesus films in a number of places opened me up to new ideas. There's a wonderful section early on where he talks about Pasolini's Gospel According to St. Matthew, and he also discusses how he used to lead classes comparing various film versions of a particular episode in the gospels. He also whet my appetite for the BBC's Son of Man which, sadly, still awaits a wider release. I later learned that a course pack had been put together, with a leader's guide, participants' guide and a VHS video (remember those?) containing several clips. But it was really highly priced, and whilst it seemed likely that it would contain clips from the then unseen Son of Man, I simply couldn't afford it. It soon went out of print and Amazon Marketplace and eBay seemed to offer no solace. So I was really pleased to discover recently that this pack has now been released on DVD, and much more reasonably priced (RRP $24.99). It looks like it was released in May this year, so I'm surprised I hadn't heard anyone mention it prior to a chance encounter on eBay. I've now had a chance to flick through the material. The DVD comes with a Leader's Guide booklet to accompany the participants' guides (which you purchase separately), which is also provided as a PDF. 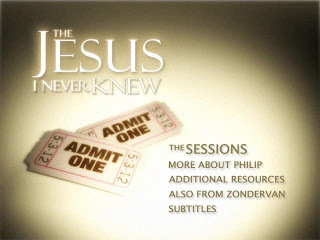 There's a bit of extra information ("More About Philip", "Additional Resources" and "Also from Zondervan") on the disc, but the main component is the video material for the six sessions. The set up of these sessions has clearly been thought through well. The material switches between group questions and discussion and some dialogue from Yancey interspersed with Jesus film clips. There's no need for group leaders to faff around with remote controls trying to pause in the right place: when it's time for the group discussion the DVD simply goes to a holding menu-type screen and awaits further instruction. Typically each session opens with a 5 minute introduction from Yancey, then some opening group questions. The main part of the session comprises 15 minutes from the DVD; 10 minutes discussion about the video; and a twenty minute "Bible Exploration". Yancey takes a couple of minutes to wrap up and there's a final question for the group to close. In some ways that's quite an eclectic mix, and doubtless, some of those films will be unfamiliar to some. The inclusion of several scenes from Son of Man is a particular highlight. That said, this selection is limited in two ways. Firstly, most these films tend to be those already beloved by the evangelical community who are the most likely audience for this course. Those that could be seen as a little more controversial, like From the Manger or Son of Man are largely unknown. Last Temptation of Christ or Jesus Christ Superstar are certainly significant omissions. Secondly, these films are now all quite dated. These clips were originally collated for the VHS set, which was released in 2001, so more recent films like The Passion of the Christ and The Gospel of John hadn't yet been made. Furthermore, whilst a bunch of Jesus films were released in 1999 (Jesus, Mary, the Mother of Jesus, The Miracle Maker, The Revolutionary, it's unlikely that there was sufficient time to incorporate them into the project. The result is that those viewing these clips today will find that even the most recent portrayal of Jesus they are shown is 30 years old. Yancey's clips have also aged a little bit. It's funny how quickly things like this move on. But it's good to see this course finally become more widely available. I'm thinking of running a modified version of it in the spring, although I'm entirely sure how I'll go about it. Watch this space! 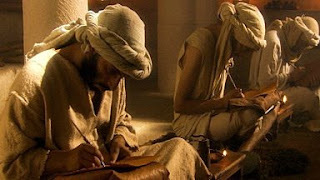 Jim West has the latest in his series of posts about a forthcoming Bible documentary on PBS. The Bible's Buried Secrets is due to air on November 18th at 8pm. The "temporary landing site for this film has a preview video which suggests that this will cover similar territory to Robert Beckford's Channel 4 documentary Who Wrote the Bible and that the slant will be somewhat similar. Indeed this quote from the landing site practically even mentions that film's title! A powerful exploration of science, scripture, and scholarship, The Bible's Buried Secrets examines the most pressing issues in biblical archeology: Who actually wrote the Hebrew Bible? Is there a real historical core to stories of Abraham, Moses and the Exodus, and King David, a warrior and writer of psalms, and his son, Solomon, who built the great temple in Jerusalem? And beyond the question of historical authenticity, what is the deeper meaning of these stories and why do they resonate today? Provocative new answers emerge from the program's investigation of decades of literary research and archeological investigation in the Near East. ...not to mention a whole host of cartoons. Anyway, for anyone interested in repeating the exercise elsewhere, here are the start and end places/times of the clips I used - the clip length, and the version that I used. In most cases these are region 2, but I imagine the difference will be very slight, particularly as the DVD releases for the first two are identical regardless of the regional code. Links are to previous posts on each film. I've also added the leading actor's name and a few comments. This is the oldest of those available, and, for those unused to silent films, the style takes a bit of getting used to. Note the age of Moses here, and also that DeMille's citations are from Exodus 31 and 32 rather than the first account of the giving of the commandments in Exodus 19 and 20. This is perhaps the most controversial version of these events, but it's relatively accurate to the accounts in Exodus. The clip ends with Moses on his way up the mountain with the tablets already under his arm, with the people having already agreed. An earlier scene shows Moses hearing God's call (in Lancaster's own voice) from the top of the mountain, but it's entirely ambiguous as to whether these commandments are from God or from Moses. It's also good how they are given more as prose than as "commandments". This is the most recent of the five, and it's main concern seems to be showing off it's technology. There's a heavy dependence on DeMille too - the idea of Moses going up the mountain to get the tablets, and of them being literally written by God (although not literally the "finger of God" as the text states), not to mention the desire to make this a showy scene. This is perhaps my favourite of these five clips, largely because I had to see it to make me realise how the story actually appears in Exodus. It's sticks very closely to the text (Exodus 19:10-20:21), but given how stagey other version have been, this is a good thing, which is also why I recommend showing it last. I also like the idea of the commandments being something that welled up from the people as they encountered God, and the idea of the people corporately being the mouthpiece of God. 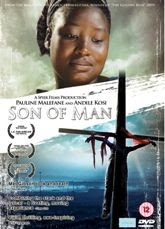 It's been a long time in coming but it look like 2006's Son of Man (see previous posts) will finally be released on DVD next month. Although there's nothing on the film's official web site, it's now listed at Amazon who confirm the release date as the 3rd November. There's no word yet as to whether there will be any special features, but I hope to find out soon. Thanks to Kevin Neece for the tip off. It's the kind of classic anecdote so typical of the great director's reputation; the pious tyrant so capable of flying into a rage when things went badly. But such stories have become so ingrained in our consciousness that it's sometimes difficult to get beyond them to the real Cecil B. DeMille. Robert S. Birchard, however, opts for a different approach entirely. 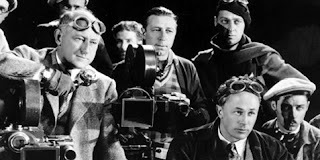 Having worked as a "volunteer film archivist" his connections with the DeMille estate not only enabled him to view all of the DeMille films still in existence, but also gave him sufficient access to a wealth of DeMille's correspondence. As a result, "Cecil B. DeMille's Hollywood" contains very few anecdotes such as the one above. Instead Birchard concentrates on the facts as conveyed through the mountain of correspondence DeMille left behind him. The result is an impressively thorough examination of the story of DeMille's films. This should not be mistaken for a DeMille biography. There's nothing of his birth or childhood except in retrospect, and only if it becomes relevant to a particular film. Instead, the book opens in 1913 with the events that culminated in the production of DeMille's first film The Squaw Man. Birchard proceeds to take a separate chapter for each DeMille film. Whilst the chapters that cover the films now lost to us are obviously shorter than the others, they still provide a good deal of information about them. Some, I suppose, would see such history as a little pointless, but, in fact, these chapters are vital; they ensure that the book is about DeMille's body of work as a whole - a narrative comprised of shorter narratives if you will - rather than being a merely a collection of essays about some of his films. Much of the book is comprised of extended quotes from this correspondence, and Birchard uses it to highlight several facets of DeMille that tend to go unnoticed. In particular, DeMille's loyalty to fading stars who had worked for him in their younger years is demonstrated time and again. It casts a very different light on DeMille's appearance in Sunset Boulevard. And indeed whilst Birchard does provide the occasional example of DeMille's famous temper, overall he is presented as far more measured than the anecdotes would have you believe. The kind of person, in fact, who might possess sufficient collaborational skills to be able to produce seventy movies. Particular? Yes. A little short tempered? Certainly. Cruel and out of control? No. ButBirchard's account is also honest enough not to portray DeMille as someone he wasn't. Birchard accepts that his artistry was not that of certain other well known directors, but insists that, nevertheless, there was more to his movies than he has often been credited with. Indeed it's this considered, measured approach to DeMille's work that is the book's biggest strength. DeMille's own autobiography is entertaining , but leaves one wondering how things really happened. Higham's biography is criticised as being sycophantic.3 By contrast, Birchard sticks largely to the facts interspersing his own commentary on events with excerpts from letters and telegrams, and sections of movie dialogue. There are also three substantial collections of photos (the majority of which are from the author's own collection). There are also three appendices listing A - DeMille Pictures' Costs and Grosses, B - Other DeMille film credits, and C - Unrealised Projects. However, at times, Birchard's love for his sources gets in the way somewhat, as the details occasionally elbow out some of the more interesting information. Take, for example, chapter 68 about Samson and Delilah. Birchard discusses, at some length, the departure a largely unknown member of DeMille's costume department - Ralph Jester - even quoting, in full, one of DeMille's letters to him. But moments later, Henry Wilcoxon's promotion to associate producer is given a mere half sentence, despite the fact that Katherine Orrison has written both his biography and a book on DeMille's 1956 Ten Commandments largely based on his memories.4 It also means that, sadly, the book isn't quite as engaging as it perhaps could have been. DeMille was an extraordinary character, but somehow the book drags a little on occasion. Overall though, it's a fascinating insight into the inner workings of DeMille's seventy films with the such a wealth of evidence and the kind of precision that gives the reader real confidence in the trustworthiness of what they are being told. 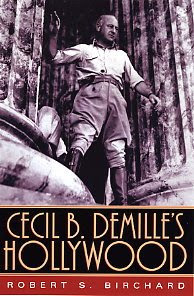 And whilst no-one will ever be able to capture everything about Cecil Blount DeMille within the pages of a mere book, "Cecil B. DeMille's Hollywood" is certainly an admirable attempt. 1 - Amusing though it is, I should clarify that this is precisely the kind of anecdote that the book avoids. It is, in fact, adapted from this story at anecdotage.com. 3 - See for example Jonathan Rosenbaum. Over at MetaCatholic, Doug Chaplin has posted the 34th Biblical Studies Carnival (see Biblical Studies Carnival">all previous entries). He goes for an A-Z approach and it's nice to get a mention under 'F' for film for my posts on Channel 5's Secrets of the Cross series. Next month it's the turn of Duane Smith's Abnormal Interests blog for Carnival number 35. Duane previous produced Carnival 21. Friday night was Jesus Christ, Superstar performed at my local church, All Saints with Holy Trinity in Loughborough. 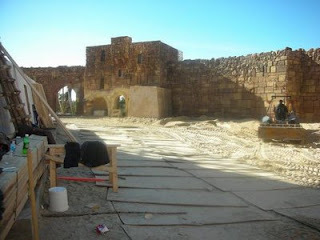 Parts of the building go back to the 14th century which certainly provided an interesting and atmospheric backdrop to the production. But director Shane Perry enhanced this by his innovative use of the building. The absence of risers potentially places those at the back at a real disadvantage, so Perry put his stage up relatively high and used the aisles repeatedly. This not only brought the action closer to the audience, but it also got us turning around - subtly reminding us of the venue. There was also some interesting use of the churches furnishings. Pilate used the bishop's chair as his judgement seat, and whilst the crowd celebrated Jesus's triumphal entry, Caiaphas admonished them from the pulpit. The role of the authority figures in Jesus Christ Superstar has always been something of a topic of controversy. Here both Pilate and Caiaphas were played well by the excellent Lee Costellow and James Robinson. Robinson's voice was astonishing given his apparent youth and Costellow's performance neatly balanced the power of Rome and a frightened man out of his depth. Whilst this may not be the Pilate of history it was certainly great drama. But it was perhaps the costumes that spoke volumes of the way the power dynamic was portrayed. The priests wore towering Pasolini-esque headpieces; the Romans only fabric armour. However, the costumers were also responsible for the weakest aspect of the production - Jesus's wig. It says a lot about the quality of the production that the biggest fault I could find was something as trivial as a hairpiece, indeed my friend didn't even notice that it was a wig. But nevertheless, whilst Lyndon Perry was a good enough age to play Jesus, he was too old to get away with that particular wig - to my mind at least. That said, Perry's overall performance as Jesus was strong. He was likeable enough, but not to an extent which neutralises Judas's objections. In contrast to the gospels, Jesus Christ, Superstar requires its leading man to ensure he is not too heroic. Perry got the balance just right, absolving Judas to a certain extent, and giving the piece a palpable sense of tension. The Judas-Jesus dynamic is made even more interesting by the fact that the men playing these roles are the director and his brother. There's just a little extra edge to their disagreements. Of course, Superstar rests heavily on the music, and the band were excellent. They opted to stay faithful to the piece's seventies roots, replete with a wah-wah pedal and early sounding keyboards. But there was also some interesting use of the church organ (or at least a passable imitation - I was sat behind the speakers so it was hard to tell). Again this worked to involve the location in the production, invoking the story of Jesus's followers which it not only narrates, but also continues. Given the difficulty of the piece for vocalists, it would be unrealistic to expect an amateur production such as this to be flawless. Yet the overall quality of the singing was very good. 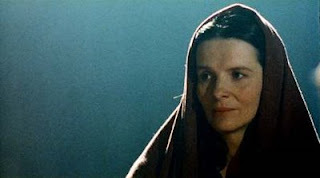 Perhaps the best performance was Mary Magdalene who not only sung well, but was the pick of a strong cast. Indeed it was Mary's performance that carried the show's final moment - a brief, and wordless, resurrection scene. The original production omits this part of the story opting instead to resurrect Jesus during the curtain call. Such an alteration ran the risk of being kitsch or trite, but focussing primarily on the reaction of Mary and the other women (rather than on, say, the stone being rolled away) put the emphasis on the human side of things, and captured the strange, but joyful emotions of the first Easter. All in all, then, this fine production made the most of the location and was entertaining and thought provoking in equal measure.